The Learning Resources (Library) and Information and Communication Technologies (ICT) departments are located in the iCentre. This provides a welcoming and richly resourced environment for the delivery of contemporary learning and the support of digital and information literacies. During term time: 8:00 am – 5:45 pm (Monday – Thursday) and 8:00 am – 5:00 pm (Friday). The iCentre supports the educational and recreational needs of the College community by providing access to an extensive range of information and resources, both in print and online formats. Students are encouraged to become responsible digital citizens through the research assistance and literacy information programs offered by the College’s librarians. An appreciation of literature and love of learning is promoted through book club, Book Week activities and Makerspace sessions. The ICT learning support staff manage a welcoming Helpdesk environment and the i-Nstein Bar, a technology rich hub where tech-savvy students assist with the provision of digital literacy support to other students as well as staff. The iCentre’s Collaborative Learning Zones make the perfect sandbox environments where innovative learning and teaching resources and practices can be tested and proven, then rolled out College wide. 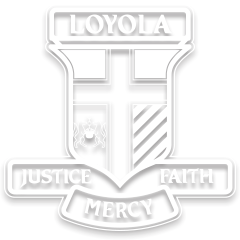 Loyola College’s contemporary learning and teaching programs are well supported by a powerful Learning Management System, campus-wide wireless and a high availability ICT infrastructure environment.